For decades, the Toyota Camry has been the beige, bland, brunt of automotive jokes. It’s been a boring automotive appliance that gets people to their destination without complaints. For years, it has been so boring that it could lull drivers to sleep. Well, not the new eighth-generation Camry. This bad boy wearing Niche Wheels is ready to rule the road. 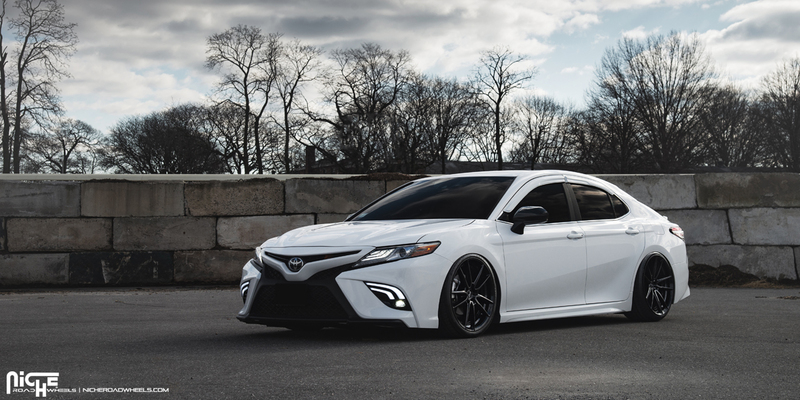 Suddenly, the newest-generation of Toyota Camry is exciting with its sporty, athletic design. It’s more aggressive and commanding with its LED lights. 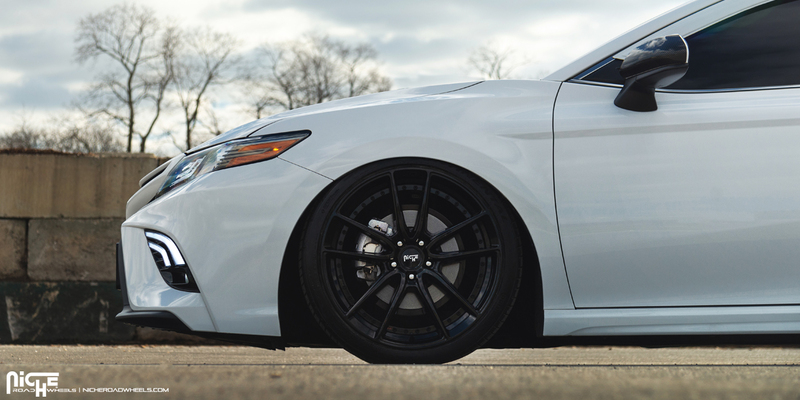 This Camry SE sports a 2.4-liter naturally-aspirated inline-four cylinder engine. This base engine still produces a healthy 203 horsepower at 6,600 RPM and 184 lb-ft. of torque at 5,000 RPM through a Direct Shift 8-speed automatic transmission to the front Niche Wheels. If you want more, there’s a V-6 engine with 310 horsepower at 6,600 RPM and 267 lb-ft. of torque at 4,700 RPM for even more fun. 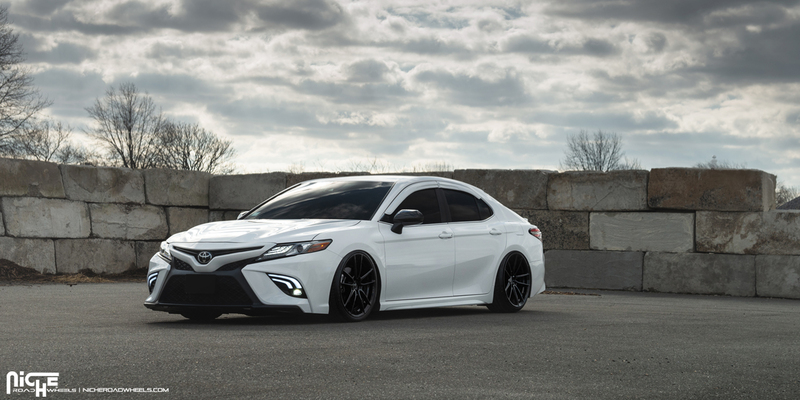 But most notably, the new Toyota Camry is more eye-catching than ever before. It’s not the bland, beige bore that racked up millions of miles – it’s a sharper car that you actually want to drive. Plus, it looks pretty nice when equipped with some tint, factory rear spoiler, and a new set of Niche Wheels. Here, the owner opted to lower the entire chassis with a new set of springs for a more athletic stance. A new set of Niche DFS – M223 rims were also installed in a staggered 20 x 9.0 front and 20 x 10.5 rear setup. 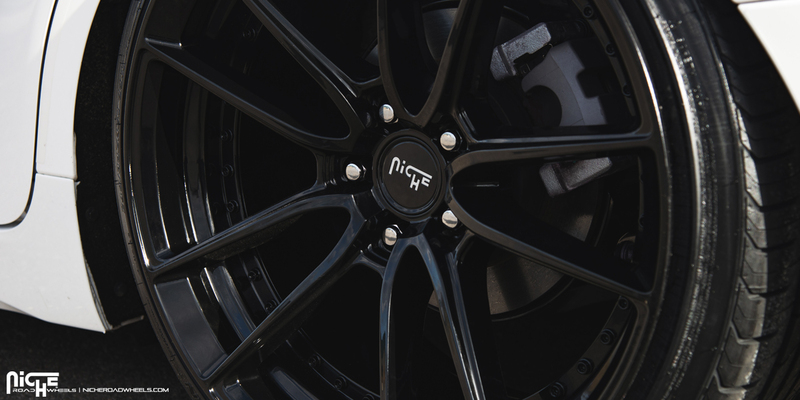 Each one of the Niche Wheels also proudly wears a Gloss Black finish that contrasts the vibrant white paint perfectly. 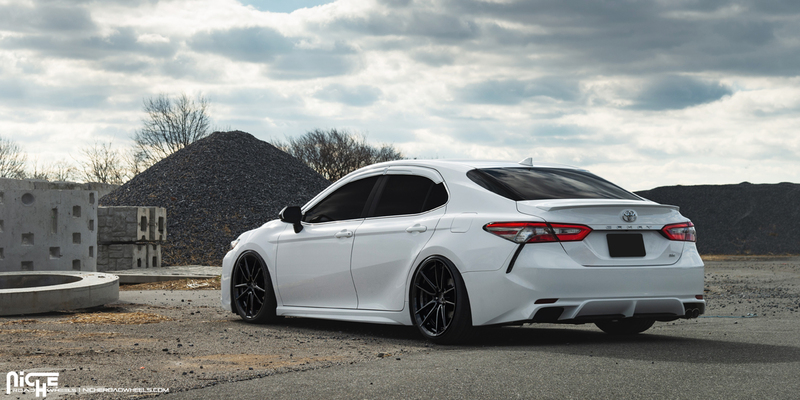 The Toyota Camry may have built a legacy of monotonous driving, but things are looking pretty exciting for its future – especially with a new set of Niche DFS – M223 rims. 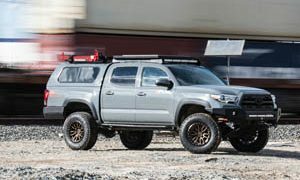 This Toyota Tacoma with Fuel Wheels is Ready for the Long Haul!